Thank you and yes, these photos were taken with a zoom lens. 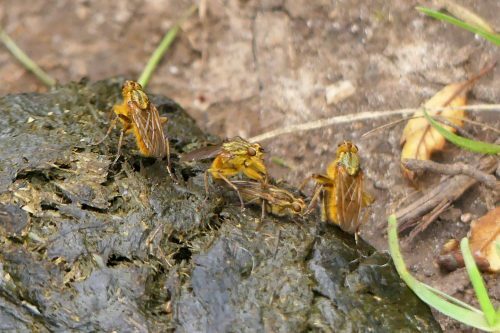 I have been known to get down to ground level to get better close-ups, but that often ‘spooks’ the insects and I end up with a lot of pics of just dung! My guess is that as chemicals affect bees, then they must also affect other insects in some way or another. 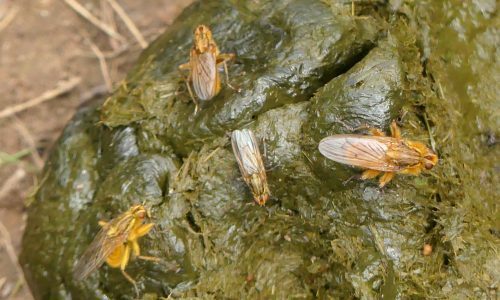 Farmed animals are regularly dosed with all kinds of stuff to keep them healthy, some to kill parasites, so presumably some of this is passed out in their poo. 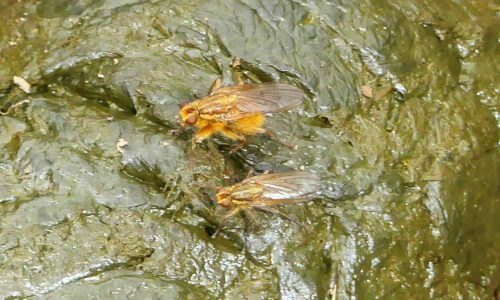 I suppose the only consolation is that this has been happening for years and there seem to be plenty of dung flies around, at least for now. Good photos! On a zoom? Was just thinking myself of the amazing insect life that goes on and to try and investigate it more! Really informative and I think we know very little about the consequences on insects of our use of so many chemicals on domestic creatures. And the fate of vultures in India has been awful with cows being given certain medication. Insects are crucial too to a healthy ecosystem. I only partially cobweb but always leave some and the spiders as I hope they help with keeping the flies and Mosquitos down ! I’m so happy to hear that Annie. At least it was nice and fresh! 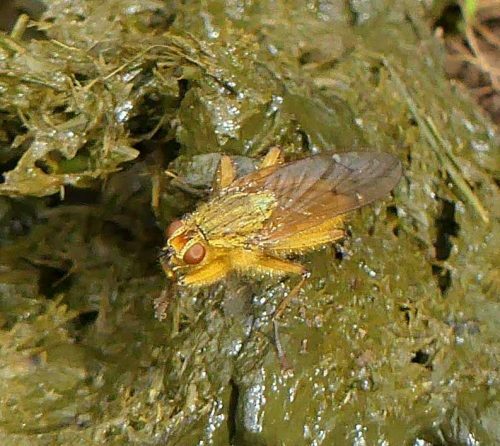 I’ve never heard of a dung fly or seen one before. Interesting! So many wonders in the natural world, each serving a purpose. They certainly do Suzanne and they are seriously under-appreciated! I find them fascinating but before researching for this post I hadn’t really considered the impact we may be having on our natural waste-disposers through treating domesticated animals with drugs and chemicals. Yes I agree with you Theresa – the use of chemicals may have short term benefit but with harmful long term consequences. They certainly do a job that not many other creatures would choose and play such an important role in the recycling process. 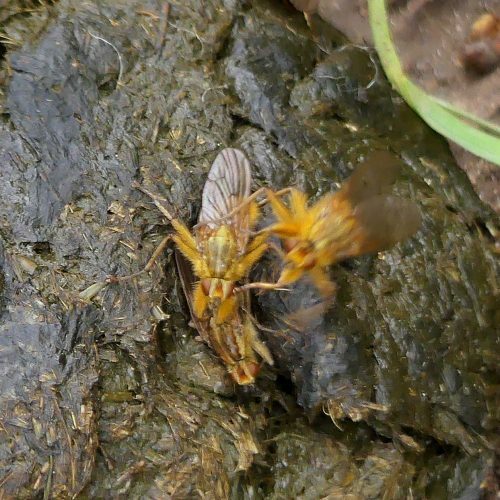 “The male-female ratio of flies on a dung pat is typically heavily biased towards males and competition is high: the smaller females don’t have much say in choosing their mate.” – Does this mean there are many more males and they gang up on the smaller females or that there are many more females and they have a lack of partners? Sorry, that does sound ambiguous; I meant that there are more males than females. Often several males can be seen waiting hopefully on a dung pat, then when a female arrives she’s pounced upon almost immediately without ceremony or preamble. But then she is likely to mate with more than one male anyway, apparently all in the interest of ensuring she secures the most compatible sperm for strong healthy offspring, so in that respect she does get choice, even if she’s not aware of it! Hope that makes more sense.